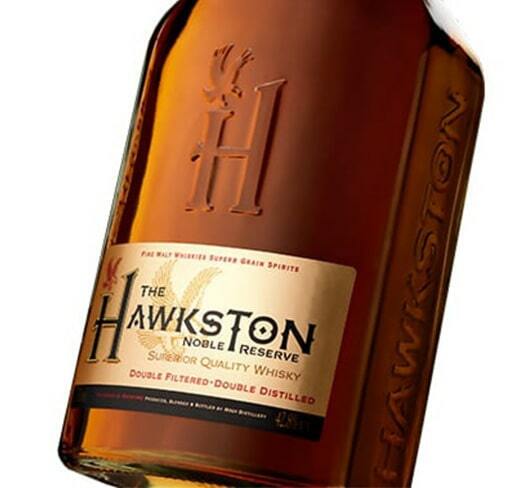 Hawkston Noble Reserve is a Superior Quality Whisky blended from Finest Malt Whiskies and Superb Grain Spirits. This Fine Whisky is Double Distilled and Double Filtered to ensure that it delivers a consistently exceptional taste for your enjoyment. Ingredients: Demineralised water, grain neutral spirit and Malt Spirit. Aroma: Soft, light fruitness, hint of damson. Taste: Soft, easy palate, fruit with a hint of oak, medium texture. Appearance: Full golden, clear and bright. Finish: Good length finish, med sweet then develops med dry. 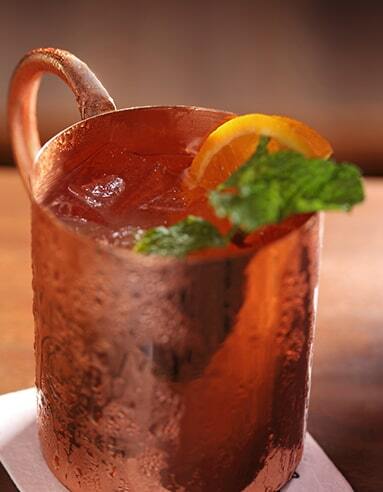 In a metal julep cup, muddle the mint leaves gently. Add simple syrup, hawkston whiskey, and stir in crushed ice. 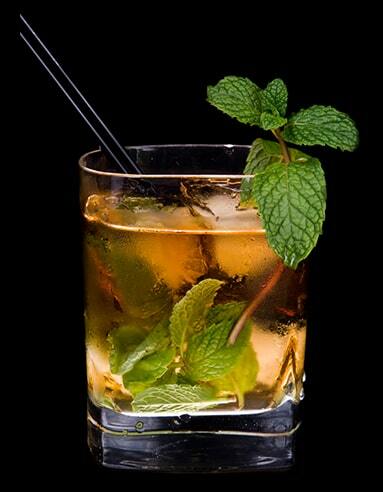 Top with crushed ice & 3 mint leaves. Add hawkston whisky, orange juice, passion fruit juice, lime juice, fresh mint leaves and ice into a cocktail shaker. Shake well and then pour into a copper tumbler or even a glass of your choice. Garnish with half a slice of orange and 4 drops of bitters. This hot cocktail has long been a favorite in Irish pubs with a popularity that could be said to rival a great stout. 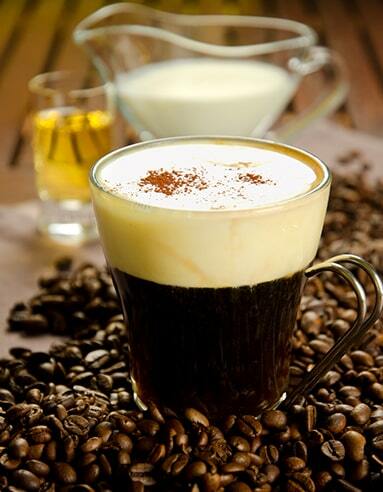 Put the sugar then coffee into a warm Irish coffee glass, mug or other heat-proof glass and stir until dissolved. Add the Hawkston whisky and stir again. Float the cream on top by pouring it over the back of a spoon. Now, drink the coffee through the whipped cream. 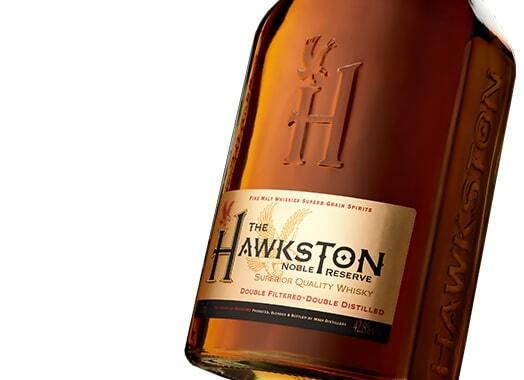 Add Hawkston whisky and lime juice to a cocktail shaker and fill with ice. Shake until well chilled, about 15 seconds. 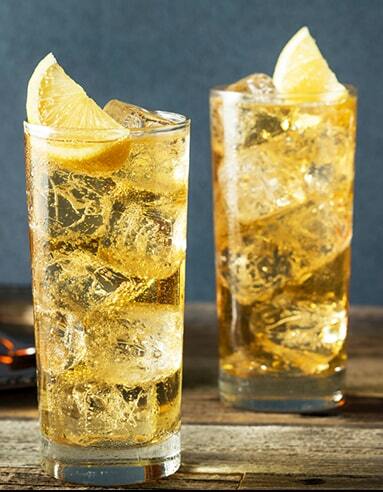 Strain into an ice-filled highball glass. Top with ginger beer and garnish with lime twist. One sip of its hazy, lusty character tells you everything you need to know about living the good life. Fill a tumbler with ice cubes.Mix the sugar syrup, bitters and whiskey until well blended.Empty the ice out of the glass, swirl the anise around, and drain off any excess. 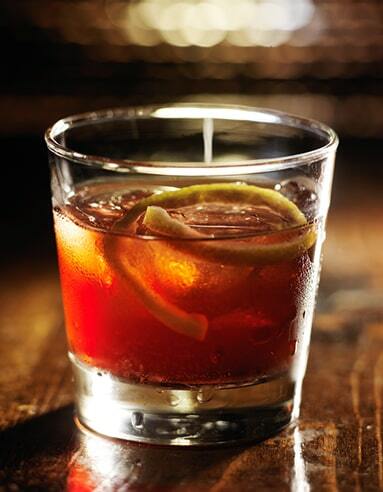 Pour in the whiskey mix.Rub the strip of lemon peel along the rim, then add to the glass. Serve and Enjoy.